This won’t be of much interest to people outside of IBM but some of my colleagues in the company have asked about it so here goes…. June 1, 1967: Joined IBM in Bethlehem, Pennsylvania as a marketing trainee. Became a marketing representative in the Lehigh Valley area selling and installing IBM data processing systems. June 1, 1969: Drafted into the United States Army and began military leave of absence. December 1975: Regional marketing representative in Philadelphia, Pennsylvania. Specialized in storage products and high end laser printers. Later focused on financial analysis of I/T equipment acquisition. August 1976: Marketing manager in Philadelphia. Managed a team focused on the Insurance industry. November 1977: Executive Assistant to Regional Manager in Mid-Atlantic HQ. March 1979: Branch Manager for IBM’s Distribution and Utilities customers in Philadelphia. February 1981: Corporate HQ organization consultant. Helped develop strategy for a major reorganization of the company. November 1981: Executive Assistant to the Chief Financial Officer of IBM in Armonk, New York. February 1982: Corporate HQ financial consultant. Developed the original financial models to set up the leasing business. May 1982: Director of Pricing for the IBM Credit Corporation. Founded ICC along with two other executives. July 1985: Division Controller, IBM National Marketing Division, Atlanta, Georgia. July 1987: Director, Rolm Systems/IBM integration office. Coordinated IBM’s acquisition of Rolm Systems. August 1987: Vice President – Finance, National Service Division, Franklin Lakes, New Jersey. CFO for IBM’s maintenance and services business. April 1988: Vice President – Service Offerings, National Service Division, Franklin Lakes, New Jersey. September 1988: Group Director of Planning, Information Systems Group, Ryebrook, New York. Finance and planning for North American field operations. January 1990: Vice President – Operations, Industrial Sector Division, Milford, Connecticut. Managed computer integrated manufacturing systems business. April 1992: Vice President – Marketing, Personal Systems Group. Developed and launched ThinkPad and ValuePoint PC brands. June 1, 1992: This important date marks 25 years John Patrick has spent with IBM and entry into IBM’S Quarter Century Club. Down through the years IBM’s Quarter Century Club has honored employees who have attained 25 years of service with the company. The very first gathering of the Quarter Century Club took place on June 21, 1924 in Atlantic City, N.J. Some 42 IBMers joined the Club as charter members that day, including 15 men with 30 or more years in IBM and its predecessor companies. First in seniority was Otto E. Braitmayer, with 35 years of service, who had been vice president of the Tabulating Machine Company. A collection of Quarter Century Club letters to John Patrick from colleagues may be viewed here. February 1993: Vice President – Marketing, Personal Software Products. Managed OS/2 and LAN Server marketing. November 1993: Systems Marketing Director, Corporate HQ, Armonk, New York. Marketing strategy for IBM Corporate technology plans. January 1995: Vice President – Communications, Networked Applications Services Division, Thornwood, New York. Developed beginnings of network centric computing strategy. June 1995: Vice President – Internet Applications, Networked Applications Services Division, Thornwood, New York. Developed beginnings of Internet strategy. December 1995: Vice President – Internet Technology, Internet Division, Somers, New York. January 2000: Vice President – Internet Technology, Enterprise Systems Group, Somers, New York. 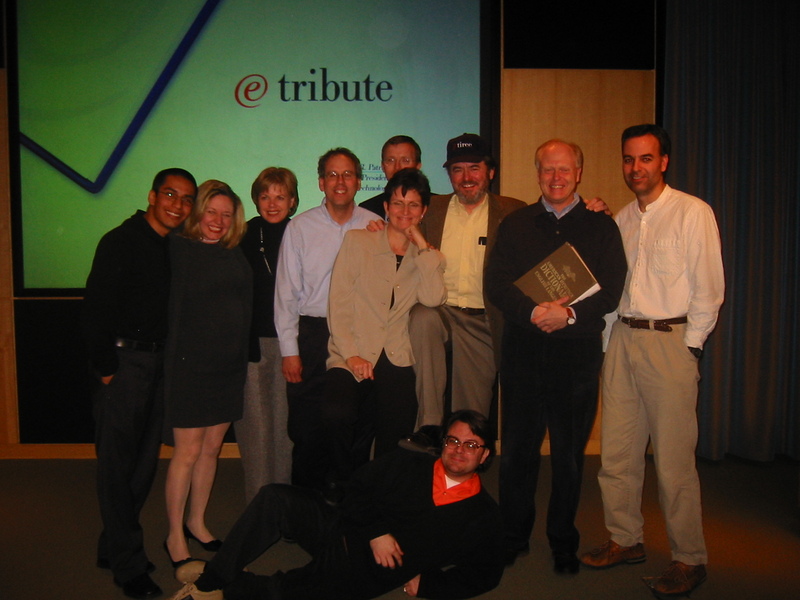 December 3 2001: Officially retired from IBM. A retirement letter from Dr. Wladawsky-Berger to John Patrick may be read here. A collection of e-tirement e-tributes to John Patrick from colleagues and friends may be viewed here. A picture from the e-tirement party is here. January 1, 2002: Started phase 2. See chief dreamer page.